Traveling to Other Cities While Studying Abroad. 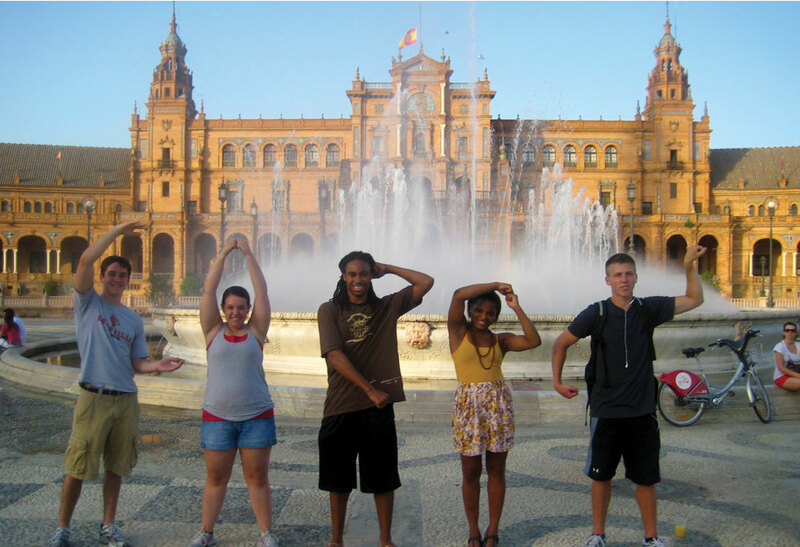 While studying abroad one of the things you should think about is to travel to the surrounding cities or towns near your location. 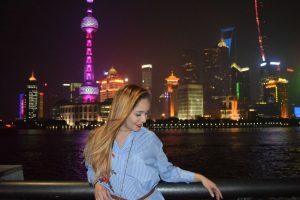 In my stay in Shanghai, I have had the opportunity to visit some of the beautiful cities around it, as well as Beijing and Hong Kong. 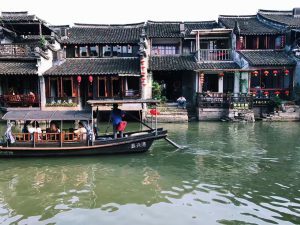 Xitang Water Village, Jiaxing City: cobbled streets, old buildings, bridges arching over canals, rowing boats lingering on the river and locals singing folks songs or selling traditional food are some of the features and charms of this place. Besides entering into a deep part of the Chinese culture, here you can try exotic foods as well as experience a gondola ride. It is only about one and half hour from Shanghai and there are busses leaving for Xitang Bus Station from 7:20 a.m. to 6:30 p.m every day. 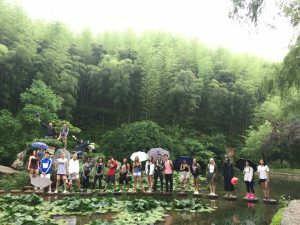 Anji, Zhejiang: It is an eco-tourism destination which is about 4 to 5 hours from Shanghai city, and about 1½ hours from Hangzhou by bus. This town is an impressive Bamboo Forest which gives tourist the opportunity to hike and interact with nature. Nowadays, the forest is called “Anji’s Grand National Bamboo Forest”. Another attraction is the tea gardens where you can see all the process of making tea and at the same time buy some at reasonable prices. Beijing: s the capital of the People’s Republic of China and the world’s third most populous city proper. This city resumes all the history, traditions and politics of China, so it has many important places to visit: The Great Wall, Forbidden City, Tiananmen Square, Summer Palace, Temple of Heaven, Ming Tombs and other. Visiting this city is not really expensive, but be prepare for the weather, the pollution can make the temperature worst. Hong Kong: one of the world’s leading financial, banking and trading centers. It is made up of four parts: Hong Kong Island, Kowloon Peninsula, the New Territories and the Outlying Islands. The prosperous island is the center of economy, politics, entertainment and shopping with its southern part noted for sea shores and bays. Kowloon is another flourishing part where Tsim Sha Tsui, Yau Ma Tei and Mong Kok are the most popular destinations. The New Territories and Outlying Islands are ideal places to experience a peaceful and natural holiday. I made a weekend trip to this city from Thursday to Sunday and I had the opportunity to visit some touristic places: Hong Kong Observation Desk: Sky100, Hong Kong Disneyland Park, Avenue of Stars, South Bay Beach and some streets in the center of Yau Ma Tei Island. It was a really cool trip and I wish I could have stay longer but it’s important to consider that Hong Kong is really expensive compare to the rest of China. 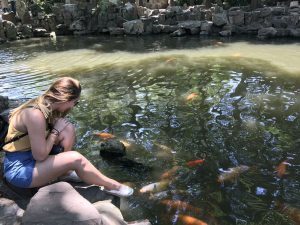 I hope this information will help when planning future trips to china. See you in my next and last post! 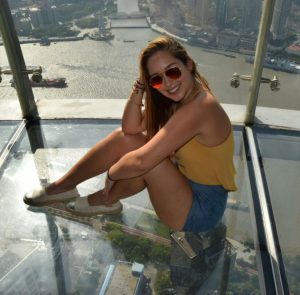 Hello, my Name is Nicole Miro and I have been in Shanghai for almost 5 weeks. I’m currently studying at Shanghai University. First of all, my overall experience here has been wonderful. I got a Chinese roommate who speaks english and mandarin fluently, so she has been helping me a lot. Further, having a Chinese roommate have given me the opportunity to learn a little more from their culture, language, places to visit, clubs and restaurants. 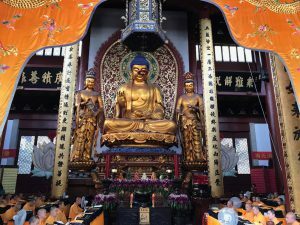 If you are in Shanghai or you are planning to visit it, here are some recommendations that can make enhance your experience. The Bund: is the famous waterfront that is regarded as the symbol of the city. From there, you can see all the main and iconic buildings of Shanghai. The best time to visit it is between 6:00 pm and 10:00 pm, when all the lights of the city create the perfect environment for a picture. If you don’t get a picture there at night, then your trip to Shanghai doesn’t count. 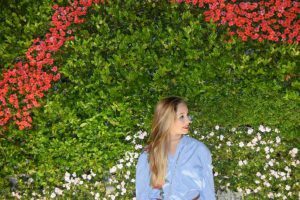 Also, at this place you can find “the Bund Valentine Wall”, a wall covered with flowers which makes it a perfect spot for pictures. 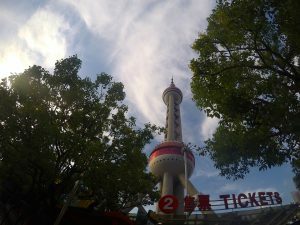 Oriental Pearl Tower: is a 468 meters high television tower consider one of the tallest buildings in Asia. Unlike any other building, the most important attraction of this tower is not really it’s high but instead it’s unique architectural design. Besides this, it offers different activities and tourist attractions in its inside: from restaurants, a virtual reality roller coaster to an incredible view of Shanghai. It is IMPOSIBLE TO MISS. Shanghai Ocean Aquarium: this aquarium is really small compare those ones in USA. However, Its exhibitions are really unique and different from any other. I LOVED IT. Fake Market: if you come to China, you need to go this kind of market. There you can find everything you ever imagine, from luxurious brands to technology products for a cheap price. Don’t pay more than 600 CNY pear each thing. Try always to bargain and get the lowest price as possible. BTW: it is located inside the metro station at the Shanghai Science & Technology Museum station in Line 2. Yuyuan Garden: is one of the most famous garden of the Republic of China designed in the years of the Ming Dynasty. The park occupies about five acres and contains the basics of Chinese gardening. Bodeguita del Medio: A Cuban restaurant in Hengshan Rd., Line 1. 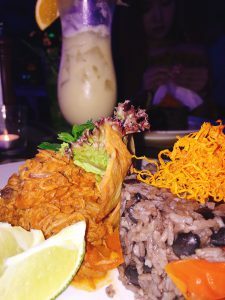 The food is just amazing and if you are Latino or love Latin/Caribbean food as me, this can be your perfect option. I recommend you to order ropa vieja and rice with beans. Oh! 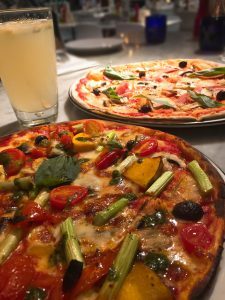 don’t forget the piña colada. Hope everyone is having a great experience, if you want to know more about mine follow my personal blog on Instagram @piccolomondoblog . SEE YOU THEN!